'I've now been on several weekends and always enjoy them. The instructors are experts in their field, and good teachers. It's lovely to be in beautiful countryside, surrounded by nature. Lindi organises these weekends very well, and is great at communicating plans and details in advance. 'You don't have to be good at the activities on offer, just have an eagerness to participate and to do as much or as little as you can. After all, it's your weekend. I like the way it was organised and the fact that the groups weren't too big so there was a chance to chat to fellow guests. I think the choice of locations is great and it provides the opportunity to take part in the activities as well as exploring the local area. I also liked the fact that even though there were schedules, it felt relaxed overall, which is what I was looking for. It's up to you how much you would like to participate. There's no obligation to spend time with other people if you don't want to, although I found this happened naturally. I went on my own the first time and then with a couple of friends the second time. I enjoyed both weekends equally as much. 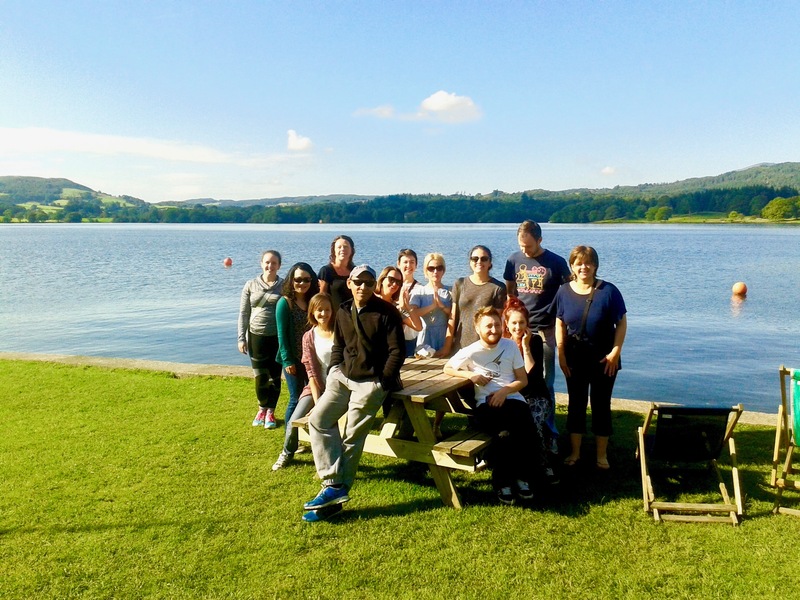 'A lovely weekend break in the beautiful Peak District and a chance to relax and unwind. The activities are designed so that beginners or more experienced people can participate. Everyone we met was very friendly and the organisation was spot on. There is no pressure to do anything you don’t fancy. There is plenty of opportunity to relax, either alone or with friends. 'The weekend was recommended by friends, and I was interested in finding activities to give me some me-time. There was time for exploring and socialising, and the venues are always well chosen. Your time is your own there is no pressure to mix with everyone else but there are plenty of friendly faces if you do want to mix. 'The weekend was fab-u-lous. It was highly organized, relaxed and fun and very mindful. I will CERTAINLY be on the next one and I would like to say I met some great people and I would highly recommend it to Mindfulness Teachers or some one that has not even heard of mindfulness. Any ability range in Mindfulness could enjoy the weekend. '​I've been on a number of retreats including yoga, MMA, mindfulness and kickboxing since it started 5 years ago. Set in lovely countryside we also have time for hiking and exploring the village to sample local delights. 'I go on these weekends for the yoga, friendliness and relaxation, and I like the warm welcome and excellent guidance in all the activities. The locations are set in beautiful scenic areas, and there are opportunities to explore and enjoy local walks and eateries. As well as being active, the weekends are very relaxing. There are many opportunities to have time to yourself if you wish to do that. The chosen locations are set in areas where you can go for a walk, or wander round a few local shops, or enjoy a cup of tea and a cake. There are areas where you can relax with a book, or simply sit and observe nature. 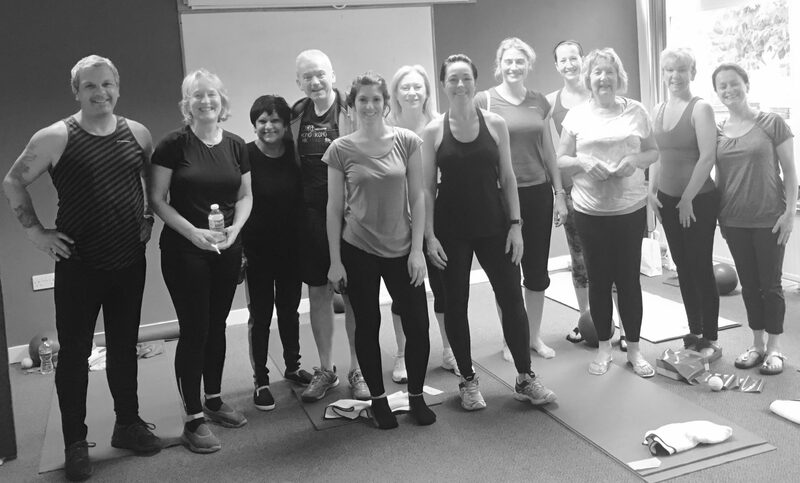 'We knew Cilla and enjoyed her classes - she is very experienced, patient, makes the experience fun and makes everyone welcome and safe. We went on a weekend because we wanted to meet like minded people in a relaxed environment. If someone wants to rest or read, Lindi and Cilla enable individuality whilst not singling anyone out. Everyone felt they could do what they felt they could. Also, most people on these weekends attract like minded, patient, kind people who are concerned about everyone’s enjoyment. 'A friend saw it advertised and we thought it sounded interesting and good value. It's a peaceful and refreshing break in lovely countryside locations providing a good balance of exercise and free time to enjoy the company of friends. Well-organised and welcoming. The instructors explain everything fully and guide you through, giving alternatives for different levels of fitness. You are free during the day and the evening to socialise or spend time on your own. It is very relaxed. 'I enjoy Pilates classes & felt a retreat would be a lovely way to spend a weekend. You can be a total beginner or quite experienced as all levels are accommodated. Along with the classes, it was lovely to spend time meeting new people, who have now become good friends. It’s totally up to each individual whether they spend time with the group or if they are happier having time to themselves. 'The ‘Simply Escape weekends’ have been a great favourite with me and my friends since they started about 5 years ago. They are truly an activity heaven - accommodation in absolutely lovely locations, really interesting themed weekends with a variety of activities to choose from and friendly, professional instructors. Fabulous weekend in Conwy. Thank you so much... great organisation and fun.. good accommodation and food. 'I go on the weekends for exercise and fun. They're relaxing, I feel energised and I've made new friends. They're for anyone who likes to experience mindful exercise and enjoys healthy leisure activities with fun people. Enjoyed everything about the weekend and didn't want to go home at all. Thank you. 'I have been on several Yoga and Boxing retreats & I thoroughly enjoyed every one! The retreats are great for beginners to more experienced people. 'Lindi is passionate about providing affordable short term breaks in beautiful scenery. I've joined on many breaks over the past few years and met some wonderful like minded people. Lindi's relaxed approach is a breath of fresh air. 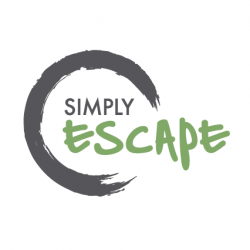 © 2019 SIMPLY ESCAPE. All rights reserved.